The President of the United States of America, in the name of Congress, takes pride in presenting the Medal of Honor (Posthumously) to Major George Andrew Davis, Jr. (ASN: 0-671514/13035A), United States Air Force, for conspicuous gallantry and intrepidity at the risk of his life above and beyond the call of duty while serving with the 334th Fighter Squadron, 4th Fighter Wing, Fifth Air Force in action against enemy forces near Sinuiju-Yalu River, Korea, on 10 February 1952. 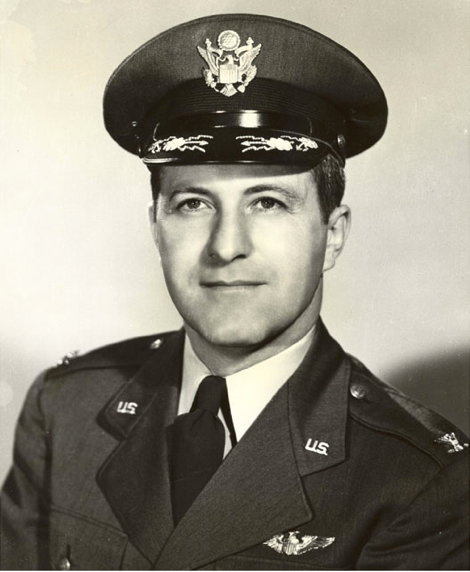 While leading a flight of four F-86 Saberjets on a combat aerial patrol mission near the Manchurian border, Major Davis’ element leader ran out of oxygen and was forced to retire from the flight with his wingman accompanying him. Major Davis and the remaining F-86’s continued the mission and sighted a formation of approximately twelve enemy MIG-15 aircraft speeding southward toward an area where friendly fighter-bombers were conducting low level operations against the Communist lines of communications. 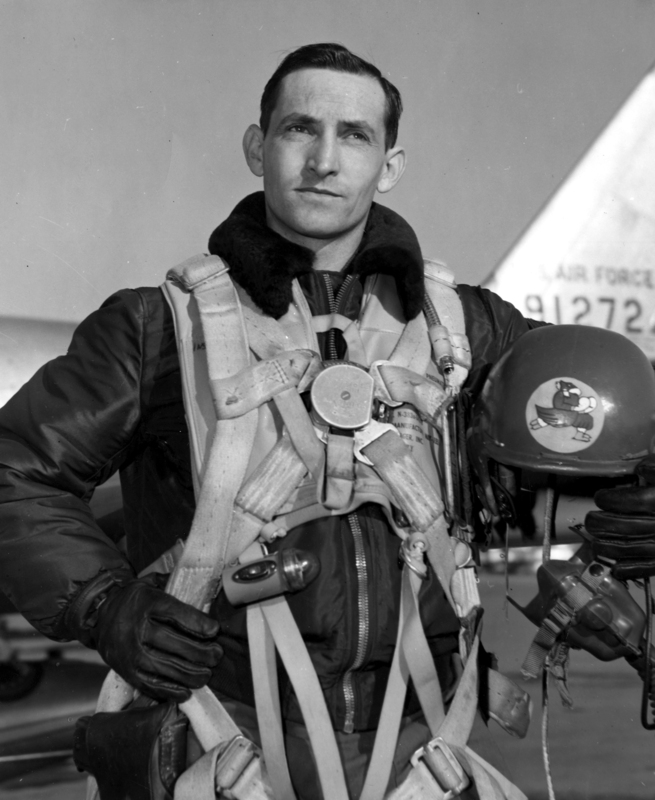 With selfless disregard for the numerical superiority of the enemy, Major Davis positioned his two aircraft, then dove at the MIG formation. While speeding through the formation from the rear he singled out a MIG-15 and destroyed it with a concentrated burst of fire. Although he was now under continuous fire from the enemy fighters to his rear, Major Davis sustained his attack. He fired at another MIG-15 which, bursting into smoke and flames, went into a vertical dive. Rather than maintain his superior speed and evade the enemy fire being concentrated on him, he elected to reduce his speed and sought out still a third MIG-15. During this latest attack his aircraft sustained a direct hit, went out of control, then crashed into a mountain 30 miles south of the Yalu River. Major Davis’ bold attack completely disrupted the enemy formation, permitting the friendly fighter-bombers to successfully complete their interdiction mission. Major Davis, by his indomitable fighting spirit, heroic aggressiveness, and superb courage in engaging the enemy against formidable odds exemplified valor at its highest. Captain George A. Davis, Jr., USAAF, in the cockpit of his North American Aviation P-51K-10-NT Mustang, 44-12085, during World War II. 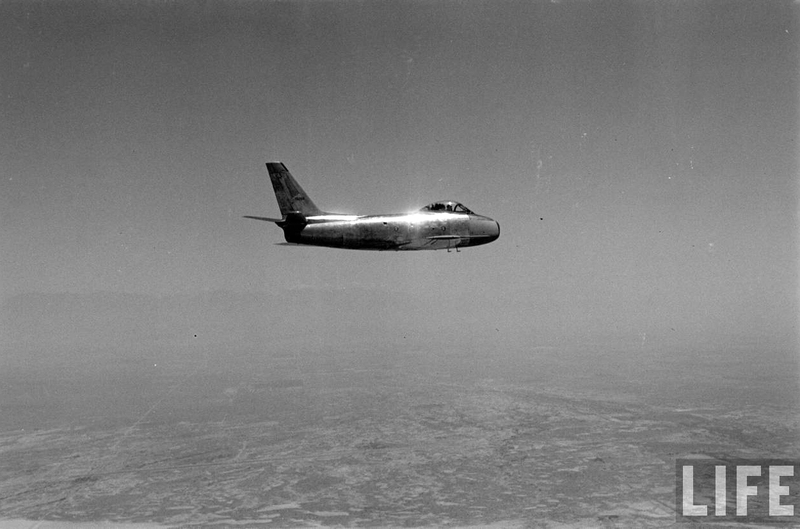 17 August 1951: In order to demonstrate the capabilities of the United States Air Force’s new day fighter, Colonel Fred J. Ascani, Vice Commander, Air Force Flight Test Center, Edwards Air Force Base, California, had been assigned to take two new North American Aviation F-86E Sabres from the production line at El Segundo, California, to the National Air Races at Detroit, Michigan. He was to attempt a new world speed record. 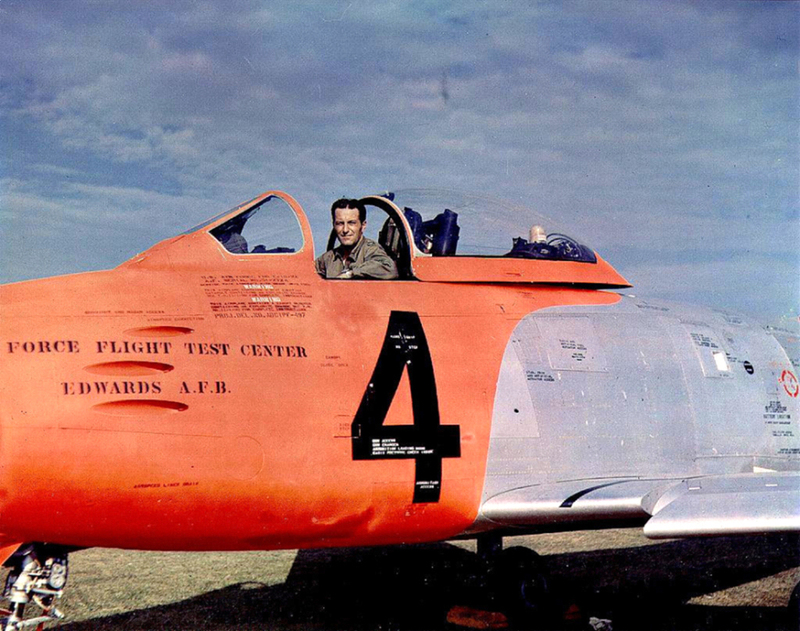 Colonel Ascani selected F-86E-10-NA 51-2721 and 51-2724. They received bright orange paint to the forward fuselage and the top of the vertical fin. Bold numbers 2 and 4 were painted on their sides. 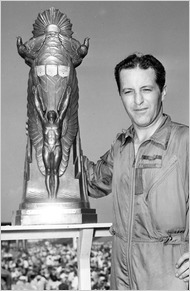 For his accomplishment, Colonel Ascani was awarded both the Thompson Trophy and the MacKay Trophy. The North American Aviation F-86 was a single-seat, single-engine day fighter designed by Edgar Schmued and the same team at North American that designed the World War II P-51 Mustang fighter. 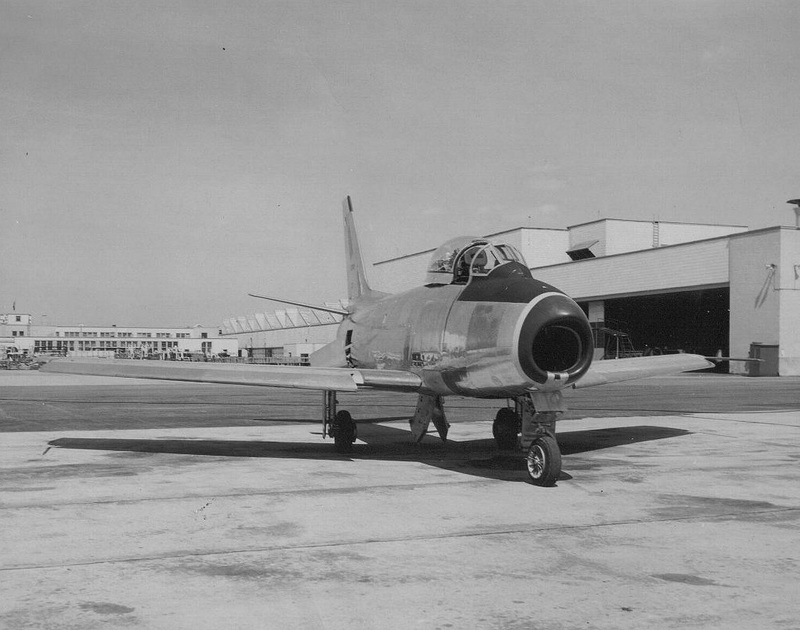 The Sabre was the first fighter to incorporate swept wings, which improved flight at high subsonic speed by reducing aerodynamic drag and delaying the onset of compressibility effects. The leading edges of the wings and tail surfaces were swept 35° based on captured German technical data and extensive wind tunnel testing. 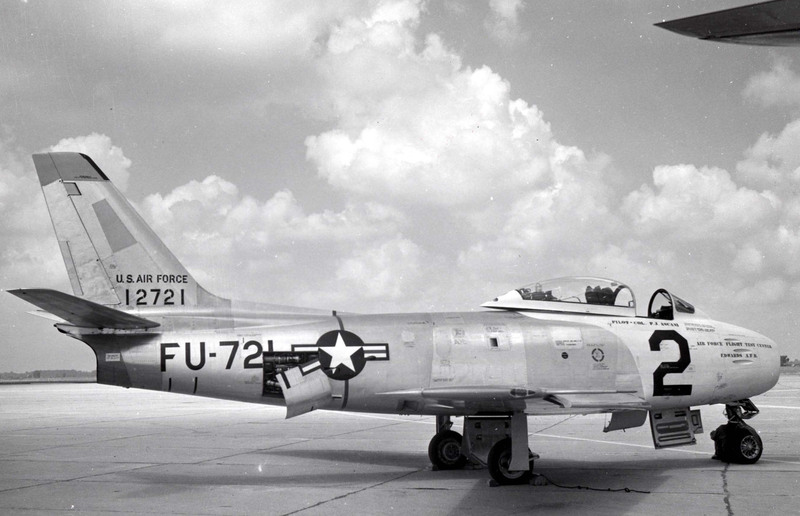 The F-86E Sabre was an improved F-86A. The most significant change was the incorporation of an “all flying tailplane” in which the entire horizontal tail moved to control the airplane’s pitch. The tailplane pivoted around its rear spar, allowing the leading edge to move up or down 8°. The elevators were mechanically linked to the tailplane and their movement was proportional to the tailplane’s movement. Control was hydraulic, and this provided improved handling at high speeds where compressibility could “freeze” control surfaces. There were systems improvements as well, with “artificial feel” to the hydraulic controls to improve feedback to the pilot and prevent over-controlling. Beginning with Block 10 aircraft, the “V”-shaped windscreen of the earlier models was replaced with an optically flat laminated glass windshield. The F-86E was 37 feet, 6.5 inches (11.443 meters) long with a wingspan of 37 feet, 1.4 inches (11.313 meters) and overall height of 14 feet, 1 inch (4.293 meters). Its empty weight was 10,555 pounds (4,787.7 kilograms) and the maximum takeoff weight was 16,436 pounds (7,455.2 kilograms). The F-86E was powered by a General Electric J47-GE-13 turbojet engine. The J47 was an axial-flow turbojet with a 12-stage compressor and single stage turbine. The J47-GE-13 was rated at 5,200 pounds of thrust and 6,000 pounds (“wet”). The engine was 12 feet, 0.0 inches (3.658 meters) long, 3 feet, 3.0 inches (0.991 meters) in diameter and weighed 2,525 pounds ( kilograms). The F-86E Sabre had a maximum speed of 679 miles per hour (1,092.7 kilometers per hour) at Sea Level and 601 miles per hour (967.2 kilometers per hour) at 35,000 feet (10,668 meters). Its service ceiling was 47,200 feet (14,386.7 meters). The F-86E carried 437 gallons (1,654.2 liters) of fuel internally and could carry two 200-gallon (757.1 liter) drop tanks under the wings. Maximum range was 1,022 miles (1,645 kilometers). The F-86A, E and F Sabres were armed with six Browning AN-M3 .50-caliber aircraft machine guns with 1,602 rounds of ammunition. 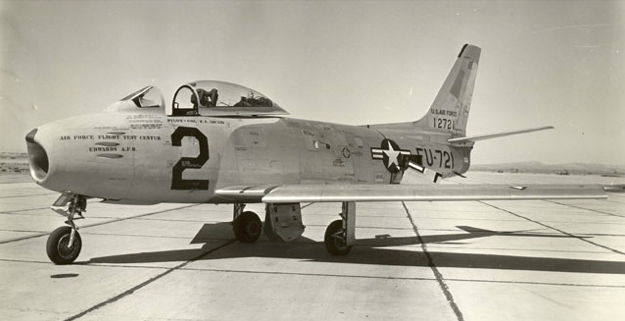 6,233 F-86 Sabres were built by North American at Inglewood, California and Columbus Ohio. Another 521 were assembled by Fiat and Mitsubishi. 1,815 CL-13 Sabres were built by Canadair, and 115 CA-26 and CA-27 Sabres by Commonwealth Aircraft Corporation in Australia. Total production for all types and manufacturers was 8,684. North American Aviation built 336 F-86Es and 60 more were built by Canadair (F-86E-6-CAN). 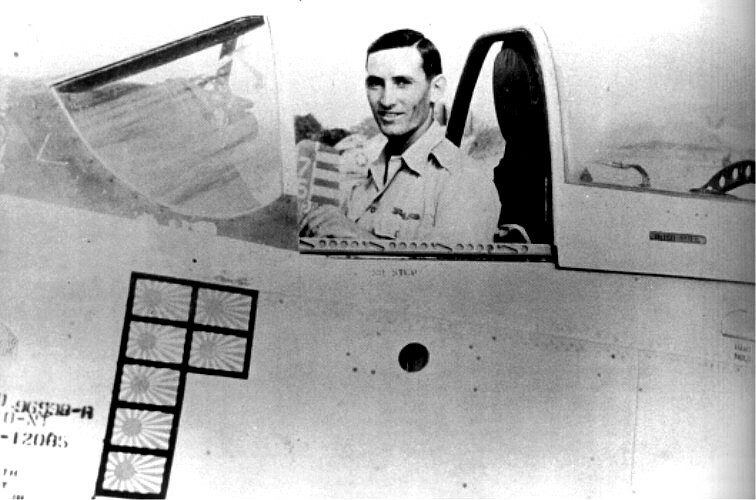 In order to emphasize that Colonel Ascani’s record-setting Sabre was a standard production airplane, it was immediately sent into combat with the 25th Fighter Interceptor Squadron, 51st Fighter Interceptor Wing, at Suwon Air Base, Korea. There, it was christened THIS’LL KILL YA. On 3 May 1953, 51-2721 was damaged during a landing accident at Kimpo Air Base, but it was repaired and returned to service. 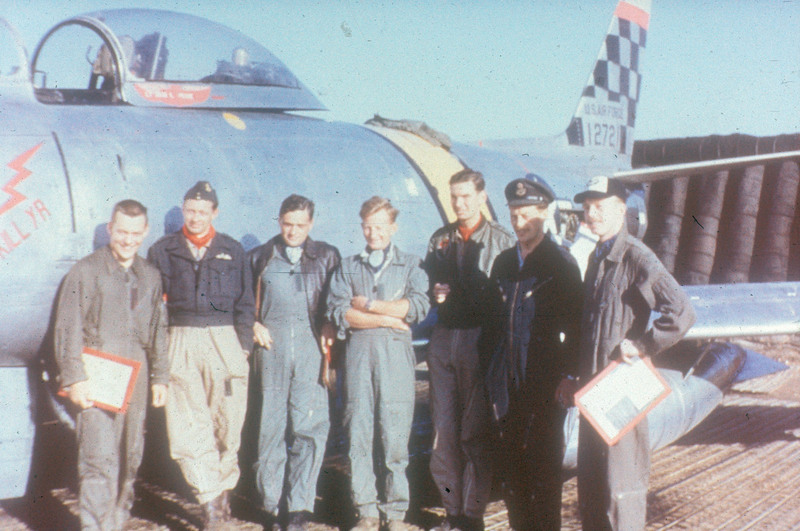 A group of Allied pilots stand with the FAI World Speed Record holder, North American Aviation F-86E-10-NA Sabre 51-2721, at Suwon Air Base, Korea, circa 1952. Its pilot, Lieutenant Jack L. Price, has named it THIS’LL KILL YA. 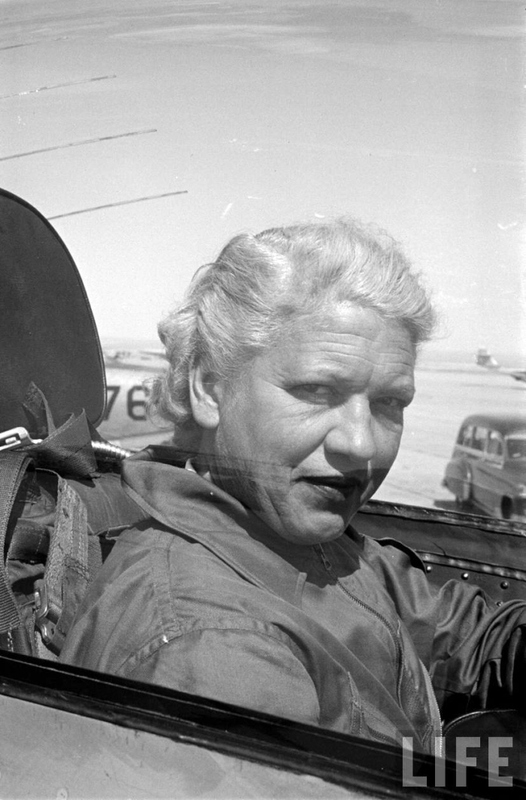 In the previous weeks, Jackie Cochran had flown the experimental Orenda-powered Sabre to world records over the 100 and 500 kilometer closed circuit and set an altitude record of 14,377 meters (47,169 feet).² During these flights, she became the first woman to “break the sound barrier” when the Sabre Mk. 3 exceeded Mach 1. On the morning of 3 June, Cochran had attempted to set a new world record over the 3 kilometer straight course, which was flown at an altitude of 200 feet (61 meters). After two runs she determined that the Sabre Mk.3 would not exceed the previous record, and she abandoned the attempt. —The Stars at Noon, by Jacqueline Cochran, Little, Brown and Company, Boston, 1954, Chapter XII, at Pages 232–233. The Canadair Sabre Mk.3 was a one-of-a-kind CL-13 Sabre (an F-86E Sabre manufactured by Canadair Ltd. under license from North American Aviation, Inc.) built to test the prototype Avro Canada Gas Turbine Division Orenda 3 engine. 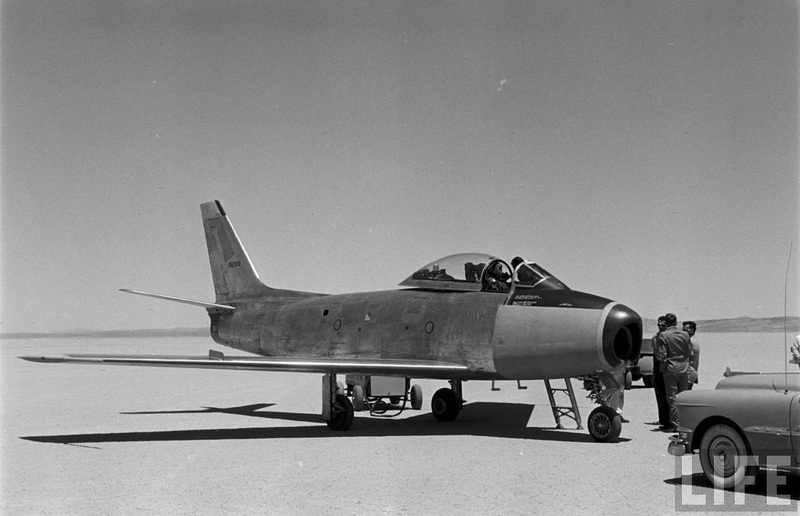 Modifications to the F-86 airframe were required to install the new, larger engine. The Orenda 3 was an axial-flow turbojet engine with a 10-stage compressor, six combustion chambers and single-stage turbine. It produced 6,000 pounds of thrust (16.69 kilonewtons), a 15% improvement over the General Electric J47-GE-13 installed in the standard F-86E. The Orenda was 121.3 inches (3.081 meters) long, 42 inches (1.067 meters) in diameter and weighed 2,650 pounds (1,202 kilograms). Canadair Ltd. was an aircraft manufacturer located at Cartierville, Montreal, Canada, owned by the American submarine builder, Electric Boat Company. Canadair also built licensed versions of the Douglas DC-4 (powered by Rolls-Royce Merlin engines) and the Lockheed T-33 two-place jet trainer. In 1954, the company became a part of General Dynamics. After the speed and altitude records, No. 19200 was sent to North American Aviation for evaluation. Today, it is on static display outdoors at Wetaskiwin Regional General Airport (CEX3), Alberta, Canada. Cochran had set several FAI speed records with this Sabre in the previous days. —The Stars at Noon, by Jacqueline Cochran, Little, Brown and Company, Boston, 1954, Chapter XII, at Page 238. 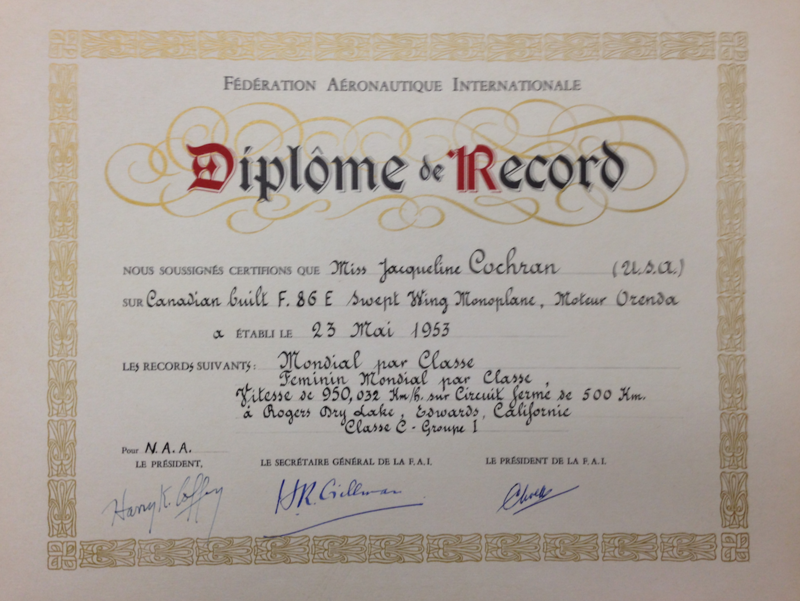 During May and June 1953, Cochran, a consultant to Canadair, Ltd., flew the Sabre Mk.3 to FAI records over the 15/25 kilometer straight course, the 100-kilometer closed circuit, the 500-kilometer closed circuit. 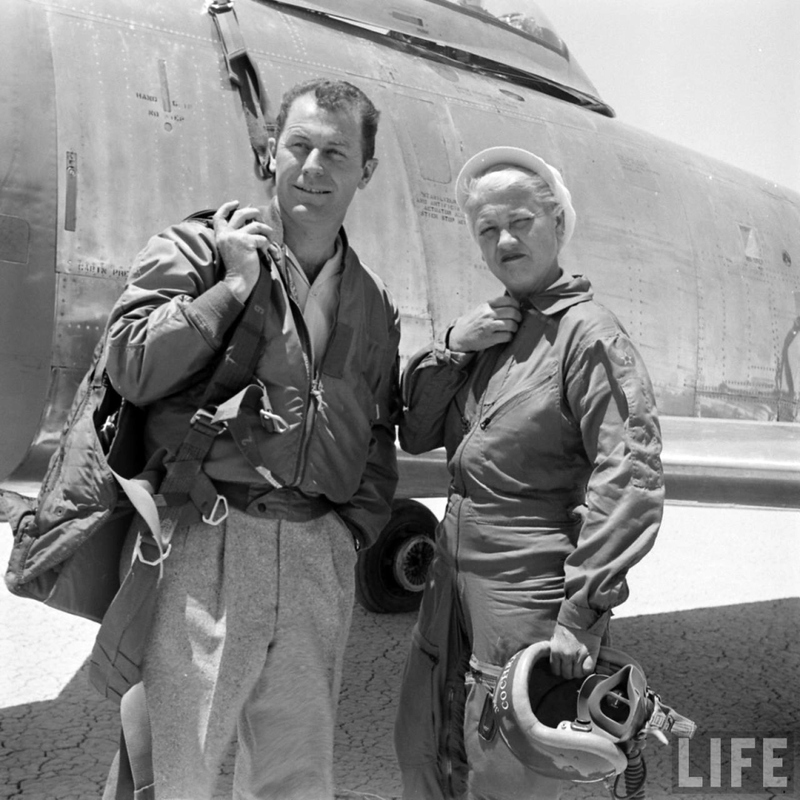 She was the first woman to “break the Sound Barrier” when she flew No. 19200 to Mach 1.04. The Canadair Sabre Mk.3 was a one-of-a-kind CL-13 Sabre (an F-86E Sabre manufactured by Canadair, Ltd., under license from North American Aviation, Inc.) built to test the prototype Avro Canada Gas Turbine Division Orenda 3 engine. Modifications to the F-86 airframe were required to install the new, larger engine. After the speed records, No. 19200 was sent to North American Aviation for evaluation. Today, it is on static display outdoors at Wetaskiwin Regional General Airport (CEX3), Alberta, Canada. 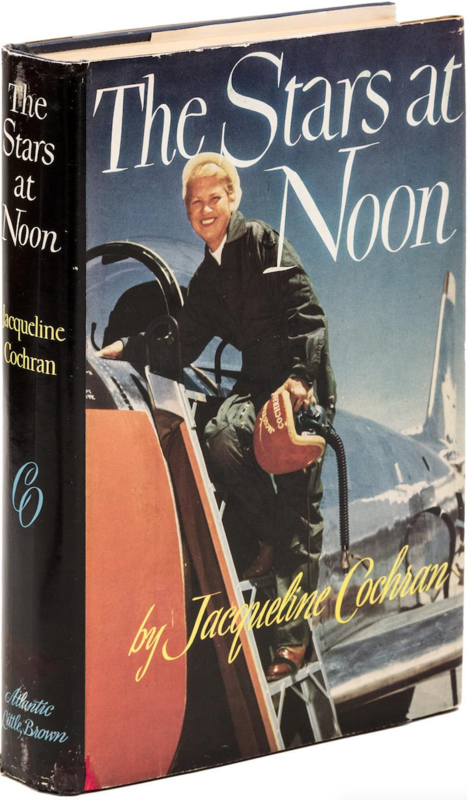 —The Stars at Noon, by Jacqueline Cochran, Little, Brown and Company, Boston, 1954, Chapter XII, at Pages 230–231. 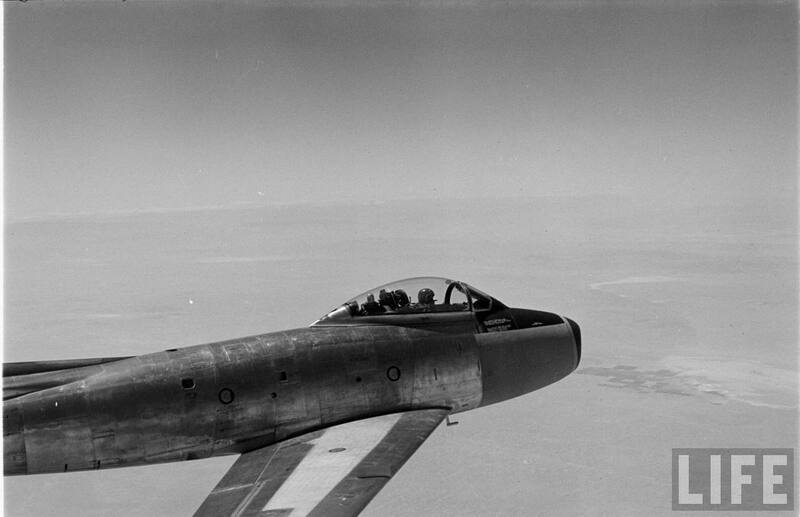 During May and June 1953, Cochran, a consultant to Canadair, flew the Sabre Mk.3 to FAI records over the 15/25 kilometer straight course, the 100-kilometer closed circuit, the 500-kilometer closed circuit and to an altitude record of 14,377 meters (47,168.635 feet). 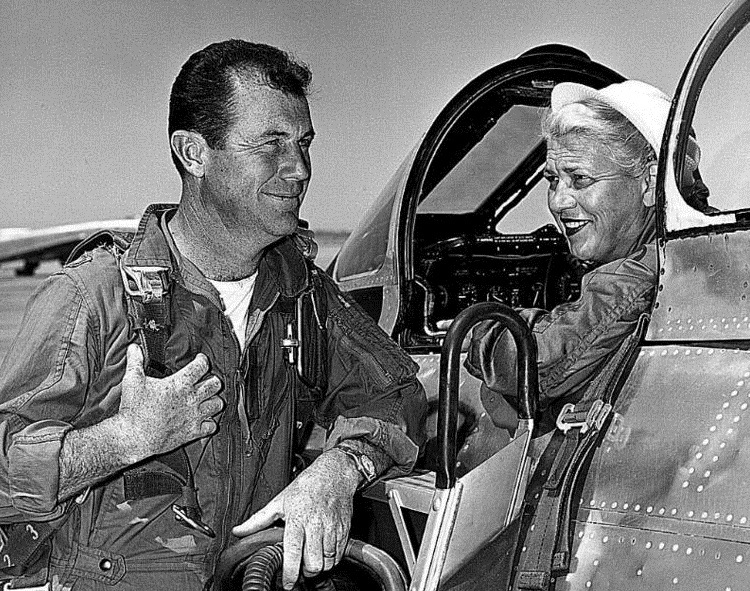 She was the first woman to “break the Sound Barrier” when she flew No. 19200 to Mach 1.04.